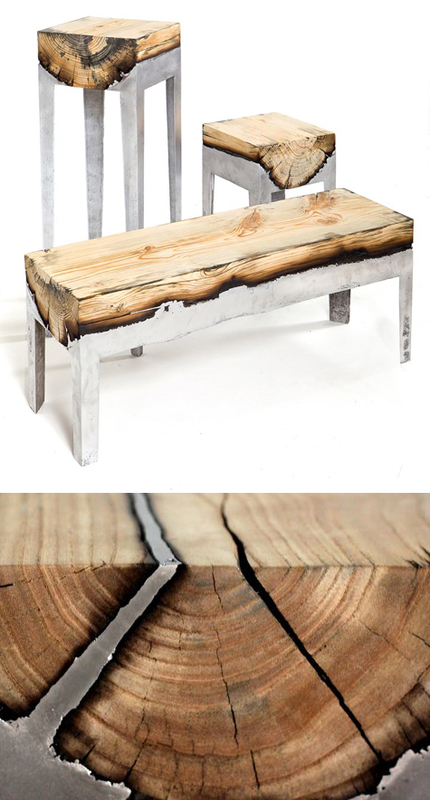 Hilla Samia combines cast aluminum and wood to make these stunning hybrid designs. Aluminum seeps into every crevice, highlighting imperfections in the wood. I find the charred wood (from hot metal touching its surface) the most beautiful detail. Beyond cool. The interplay between wood and metal, soft and hard... Striking.